That’s another little job polished off! Permal Naidu loves to keep his Nissan NV200 sparkling clean. Permal Naidu’s passion for cleaning knows no bounds and he’s a stickler for detail. 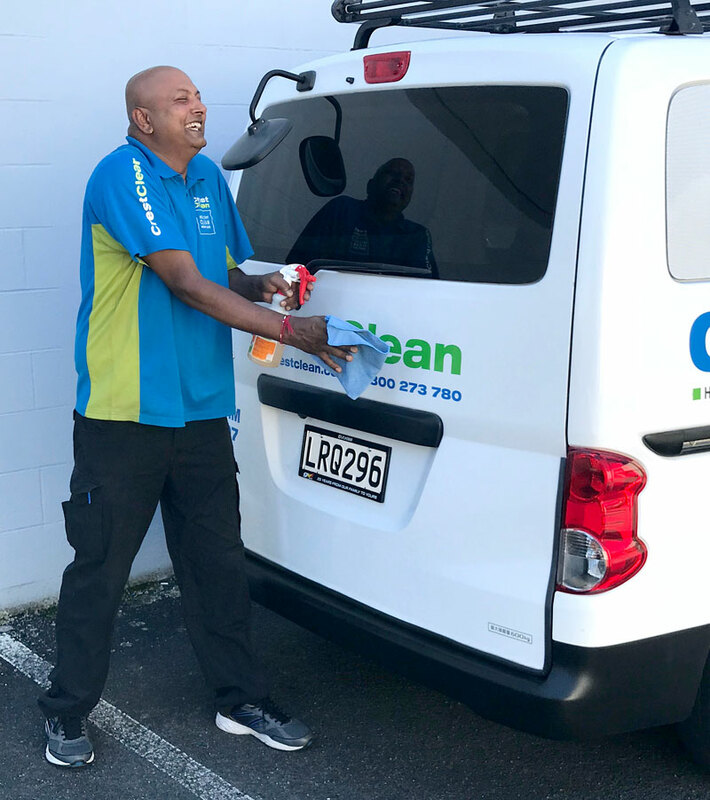 So it was no surprise when Permal was snapped giving his new van a finial wipe-over after he rolled up to show off the Nissan NV200 to CrestClean’s Waikato Regional Manager Nivitesh Kumar. He’d made an appointment to meet Nivitesh – but after arriving at the company’s Hamilton base, Permal suddenly spotted a few smudges on the paintwork. “I went out and caught Permal polishing his new van in the office car park. It was really quite a funny moment and we both had a good laugh about it,” says Nivitesh. Permal joins a growing number of CrestClean business owners who are opting to buy the popular Nissan van. “More of our teams are replacing their vehicles and upgrading to the NV200,” says Nivitesh. Permal and his wife, Sarda Mani Naidu, bought their CrestClean business four years ago. Since then they’ve doubled the size of the franchise. 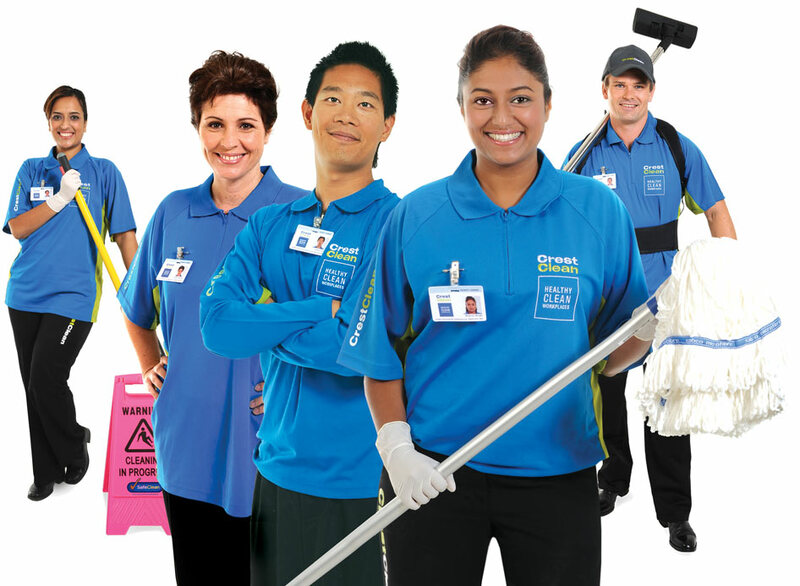 As well as cleaning, Permal is a hard floor care and carpet cleaning specialist. Upgrading his station wagon to a van made sense, says Permal. “If you want to grow your business then you have to invest in the right equipment for the job. Permal’s van has been turning heads and catching the eye of customers. “The principal at a school where I clean came out to have a look at it,” he says. Being a cleaning industry professional means first impressions count, says Permal, who ensures his van gets cleaned at least twice a week. “I have a cleaning business and if my vehicle is dirty it’s certainly not a good look,” he added.